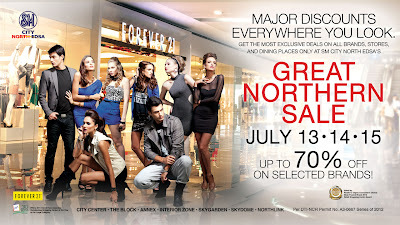 SM City North Edsa presents GREAT NORTHERN SALE on JULY 13-14-15, 2012. Major discounts will be offered. 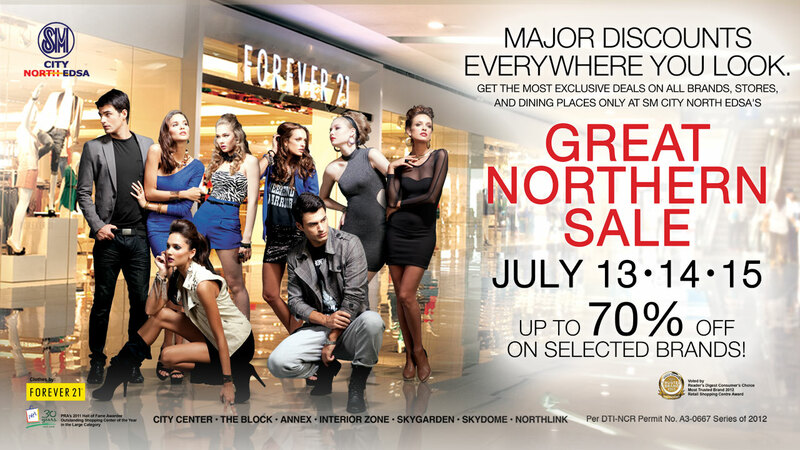 Get the most exclusive deals on all brands, stores and dining places - up to 70% off on selected brands.